I saw this recipe on the show Extra Virgin with Gariele Corcos and Debi Mazar on the Cooking Channel (check them out, they make great food and they are fun to watch. Debi, is an acclaimed actress). 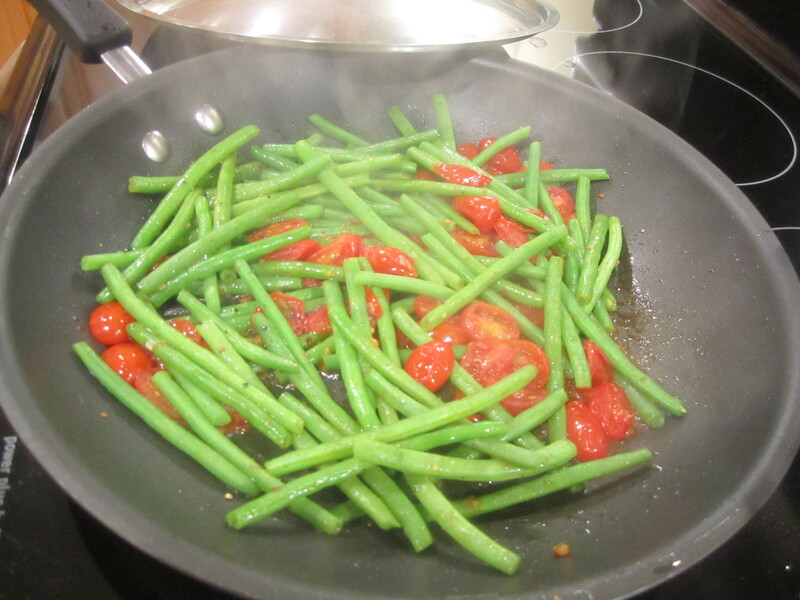 It looked fabulous and I immediately thought of my husband who is not a big fan of plain green beans. Tomatoes with the beans would be just the right combo for him. When I first made it, it was a bit too soupy but I knew it had potential. This time around, it was spot on. 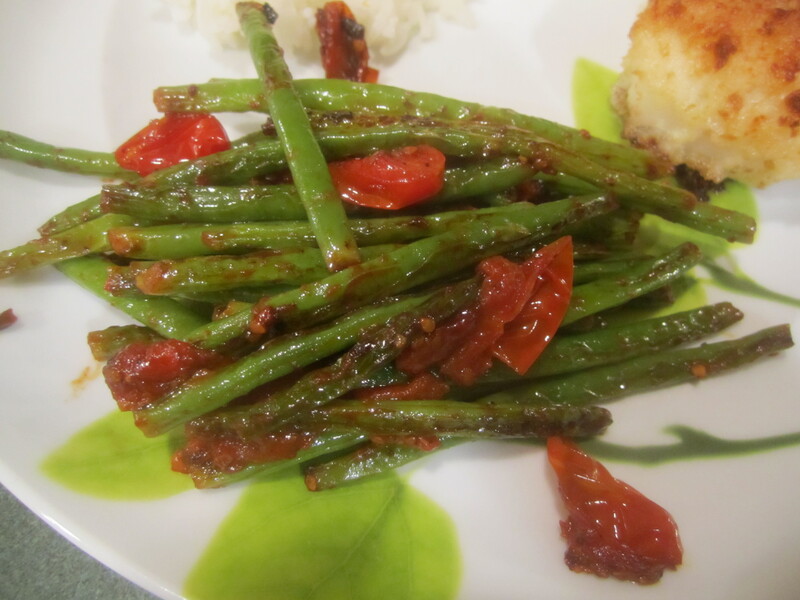 The original recipe calls for cherry tomatoes but I think the beans were better with the grape. I believe the soupiness that I experienced the first time was from the extra juicy cherries. I halved all the ingredients for the 2 of us and it was perfect. Below is the full recipe. 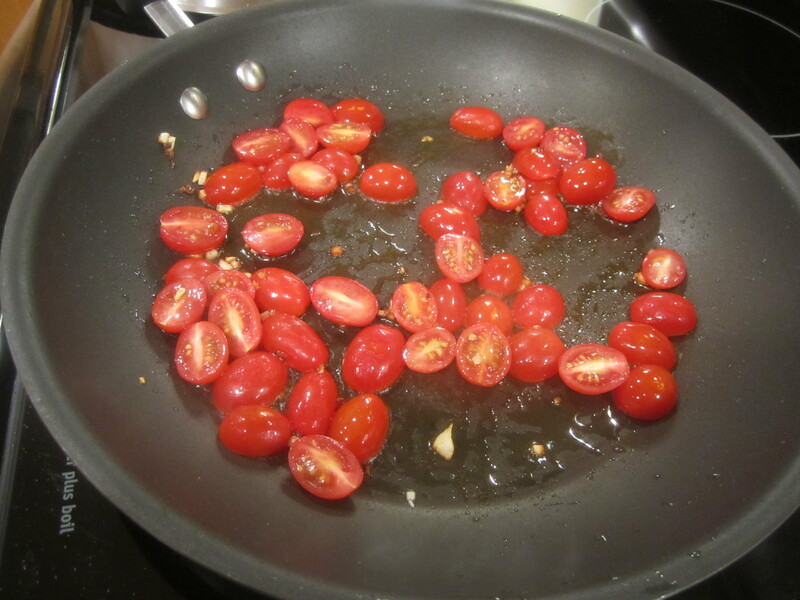 Add the tomato halves and reduce heat to medium-low, stir well, and cover with a lid. 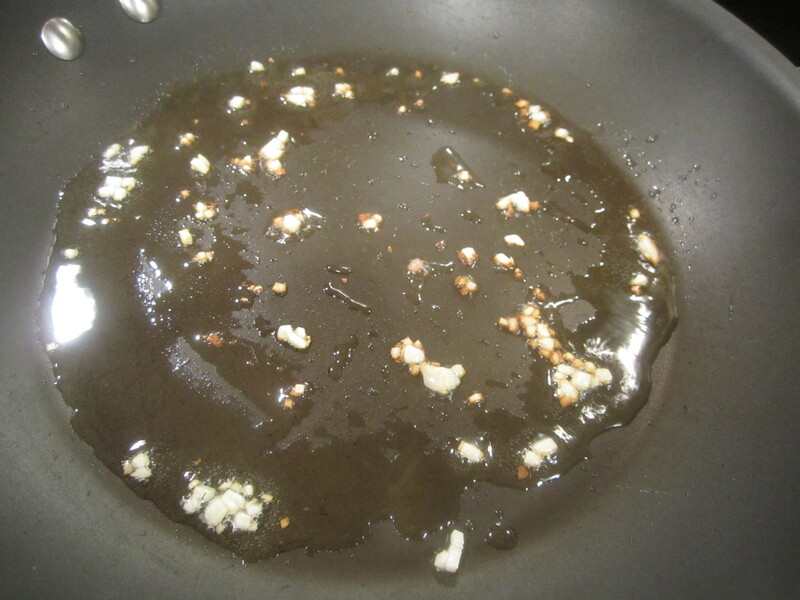 Cook for 5 minutes, until the tomatoes have melted into the oil. 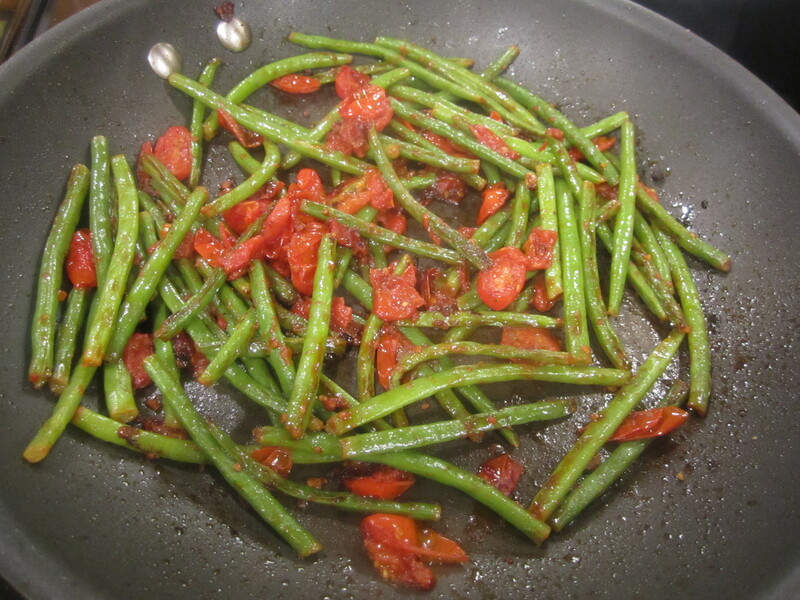 Add the beans and season with salt and pepper. Stir well, lower the heat to low and cover. Stir occasionally. 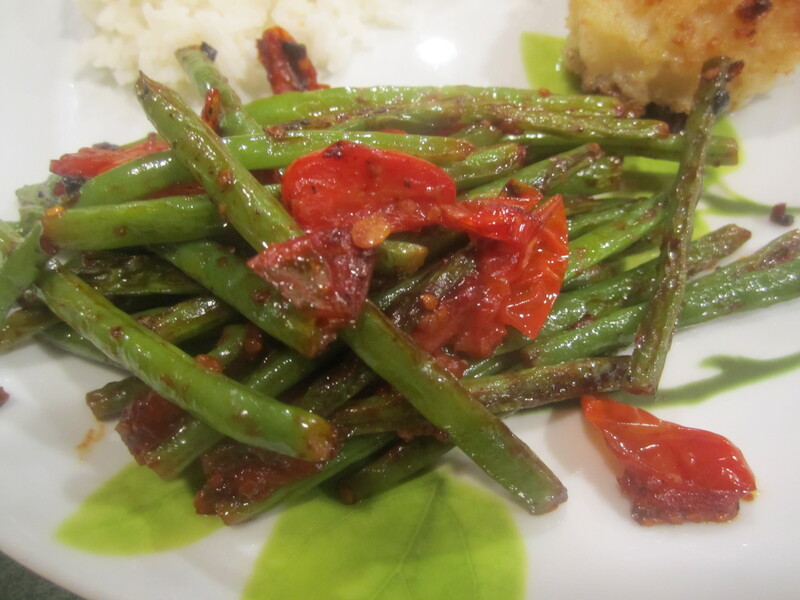 The beans should be tender but still a bit crisp in 10-12 minutes. 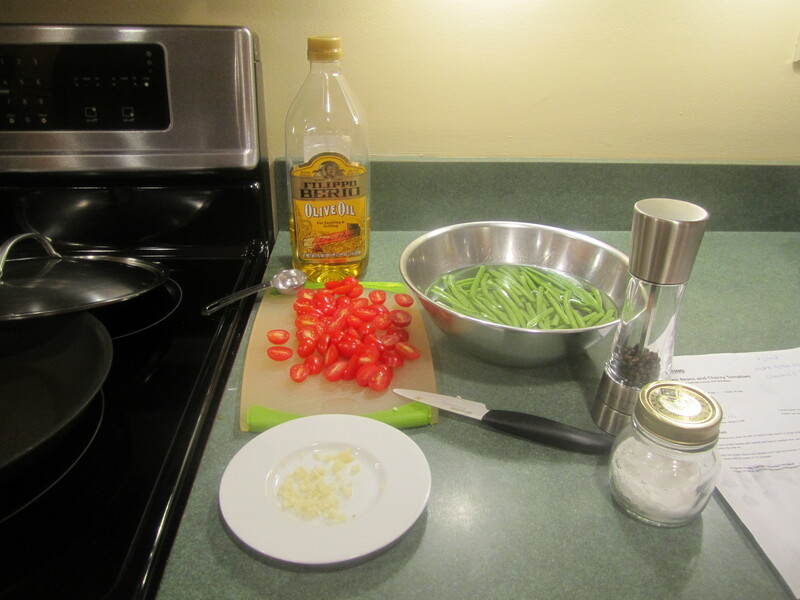 I added a tablespoon of water almost at the end, to continue the cooking without burning the beans.